Navratri, (Sanskrit: “nine nights”)in full Sharad Navratri; Navratri also spelled Navaratri; also called Durga Puja, in Hinduism, major festival held in honour of the divine feminine. Navratri occurs over 9 days during the month of Ashvin, or Ashvina (in the Gregorian calendar, usually September–October). It often ends with the Dussehra (also called Vijayadashami) celebration on the 10th day. In some parts of India, Dussehra is considered a focal point of the festival, making it effectively span 10 days instead of 9. Additionally, as Navratri depends on the lunar calendar, in some years it may be celebrated for 8 days, with Dussehra on the 9th. 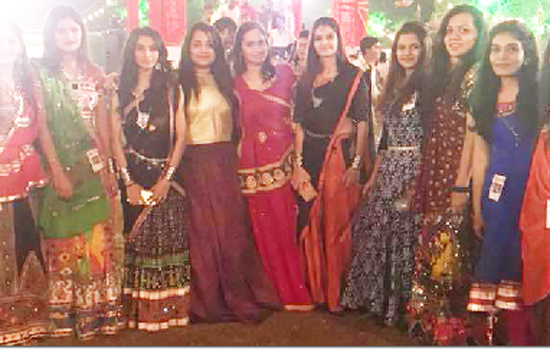 There are four similar festivals, also called Navratri, which are held at various stages of the year; however, the early autumn festival, also called SharadNavratri, is the most significant.